Make MIRACLE WHIP Slaw Burgers extra flavorful using the tangy zip of MIRACLE WHIP. 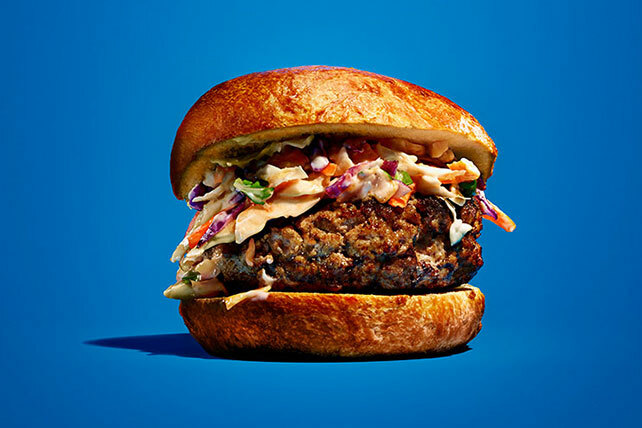 It also makes the coleslaw topping of these slaw burgers super tangy! Grill meat patties as directed. Top each with 1 KRAFT Singles; grill 1 min. or until melted. Continue as directed. Mix 2 Tbsp. chopped fresh cilantro with coleslaw before adding to sandwiches.